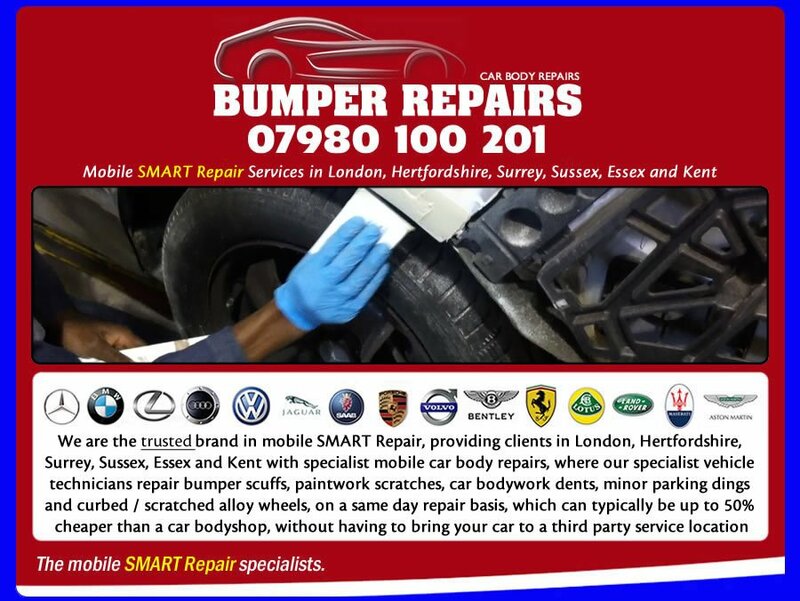 We are a specialist mobile car body repair company providing professional bumper repair, dent repair, scratch repair and alloy wheel repair services, with our skilled team of mobile vehicle technicians able to repair a wide range of damage sustained to vehicles. Many of our valued clients are surprised when they obtain a car body repair quote from us, which can typically work out cheaper than going through insurance, meaning they do not have to claim on an insurance policy and be negatively impacted at the time of premium renewal. Our requirements are simple, in that all we require is ample space to enable a vehicle technician to be sited, in front, behind or aside your vehicle and that the vehicle technician has access to an electrical supply.